Sometimes you may receive a time out if you render as large Set. The DSMI Backend service considers a time out as hit, when a Production Server that is assigned to a specific render job does not transmit its current status in a configured period of time. The default time span is 20 seconds. Just to be a bit more certain here, we talk about the time it takes the Production Server to render one specific action (i.e. a heavy graphical effect). DSMI comes with a new feature called auto scaling for DirectSmile Sets. This feature is turned off by default, but it’s worth to be turned on, at least for some of the Sets that take longer than others. If turned on you can choose if you like to create a specific scale while you maintain the catalog and upfront before you actually request specific size. Or you can activate general auto scaling that scales a Set on demand when a specific size is requested. If the requested scaling is not available DSMI starts internally a second thread that provides the scaling for future calls and renders the request image in parallel. The next request uses then the scaled version. If you optimized the performance of your Set using the auto scale option and you are still experiencing time outs when the Set is rendered you may hit a time out thrown by the DSMI Backend. This leads into a restart of the Production Server originially assigned to the job. Such a restart of a Production Server is mentioned in the Backend Monitor and log file by the way. Again, this time out is only hit, when a specific render calculation takes more than 20 seconds. But some of the Sets make it necessary to increase this value, especially if you are printing in A3. Exporting and installing fonts is not an easy approach. There are actually many hurdles to overcome, while finding a font on the source machine and finally installing it on the destination machine. Applications running in a remote desktop initiated user session behave tricky from an installation point of view. And while the User Access Control is a blessing on modern Windows based PCs it’s a burden if you try to deploy fonts automatically. Another important factor is the font header information stored in the font itself. The information provided in the header is unfortunately not always enough to distinguish a specific font. 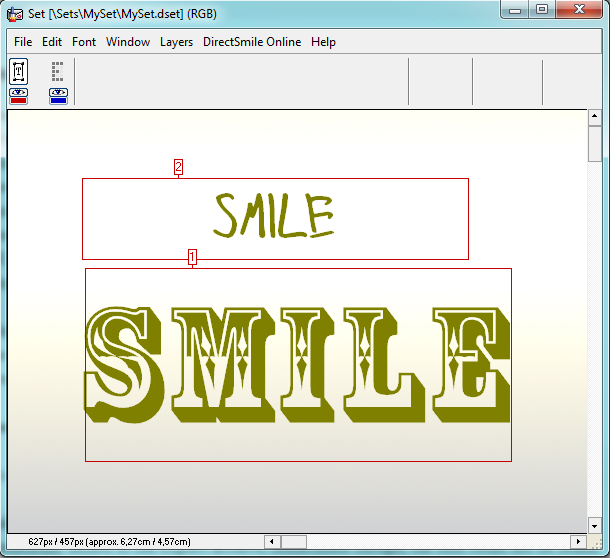 Having those issues in mind we rewrote our font installation from scratch and we now come up with a complete approach. Especially the export includes some straight forward conventions, we think are necessary to make. Usually if you export a Set that includes system fonts, the font will be found and automatically added to the export archive. Sometimes though, the font could not be found the VDP Studio designer. Unfortunately this did not produce any error message. Exporting the Set above would cause trouble, because only one font would be exported. The second (a font called Rosewood Std Regular) would be silently removed and not installed. Even worse, it would not be part of the archive. And if you would place the font in the destination folder by hand, it would be removed automatically from this folder, because for the same reason, that it’s just not part of the archive. If the font is included in the archive, DSMI adds a record in the dsmodb database telling the DSMI system to install the font. This information is read by the DirectSmile Watch Dog and installed in the system. We added all this functionality to Watch Dog, because we found a reliable application that runs in the user context and is available all the time. To avoid patching the configuration file of the Watch Dog by hand, we added the new Watch Dog to the DirectSmile Online Backend installation directory. The necessary configuration is now automatically done by the DSMI installation. The result of the font installation is persisted in the database and shown in a balloon info in the Windows sys-tray. After that the font will be immediately available for any application in the system. We use the dsmo database to ensure that the installed fonts are replicated over different DSMIs. If you are using a replicated DSMI we recommend to update you DSMI to this version. As I showed in this article Possible ways to upload items to DSMI, we provide many different ways to upload items to DSMI. There was one piece missing though. That is http based upload from inside the VDP studio. We now added http upload functionality to the VDP Studio and DSMI. It works in the same way as uploading items using ftp before. The VDP Studio now checks if the DSMI is supporting http upload. 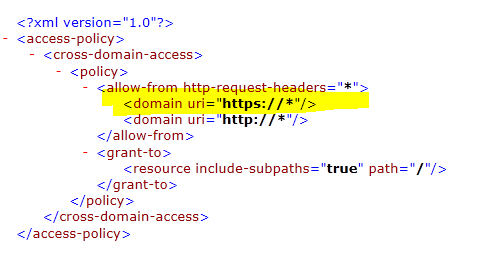 If the DSMI supports http it initiates an http transfer to upload the item. If the DSMI is not supporting http upload the VDP Studio falls back to ftp again. On the other hand, the latest DSMI still supports ftp, if the VDP Studio is older and does not support http. Although the VDP Studio and the DSMI is downward compatible we recommend to use http instead of ftp. If both application do support http, the VDP Studio will always use http.